January 27th, 2010, was a revolutionary day in the history of tablet computing. Apple Inc’s CEO Steve Jobs introduced “iPad” to the world. 300,000 iPads were sold on the day of its launch. Even today, iPad is the most used and commercially successful computer tablet around the world. Apple had launched a product named “Newton message pad” in 1993. Newton was a personal digital assistance (PDA) device developed by Apple. It looked like iPhone, but it had limited features. It had a pen enabled interface. It was not a commercial success, but now people feel that it was Apple’s first step towards iPhone and iPad. Reports suggest that Apple was working on iPad since 2007, after the launch of their successful mobile phone known as “iPhone”. iPad uses touch screen technology similar to that used in iPhone. Apple launched iPad on January 27th 2010. iPad 2 was launched on March 2nd 2011 and sold 30 million units in 2011. iPad’s third generation device was launched on March 7th 2012. Apple sold 3 million iPads (third generation) after just 3 days of its launch. Apple’s iPad has generated thousands of jobs for apps makers around the globe. It is said that Google’s android market (now known as Google play) is actually inspired from Apple’s app store. Steve Jobs was one of Apple’s founders; he was given all the credit for making apple successful in mobile phone and table computer market. It was Steve Job’s vision to develop a great tablet computing device. Steve passed away on October 5th 2011. Apple’s iPad offers exiting and impressive features, which no other tablet computer maker can offer. The latest version of Apple’s iPad (third generation) has a stunning retina display, quad-core graphics with A5X chip and a 5 megapixel camera which captures amazing photos and 1080p HD video. It works with 4G LTE networks. It has iOS 5.1 operating system; this is world’s most advanced operating system for mobile phones. iOS 5.1 also works with iCloud; iCloud is Apple’s cloud computing and storage service. It allows users to store music files, photos, etc on remote computer servers which can be downloaded to personal computers running on windows operating system or other iOS based devices. Users can access app store from their iPad and download thousands of games, applications, videos, e-books, music files. Some of these items are available free of cost. Thousands of people download 3D games and full length HD movies from app store every day. Apple launched iPad in 2010, followed by iPad 2 in 2011 and third generation of iPad with iOS 5 in 2012. Thousands of people queue up outside Apple stores around the world when Apple starts selling their newer version of iPad. According to a recent survey, every second person in the United States wants to own an iPad. People are even willing to sell their organs, so that they can get money to buy iPad. Till January 2012, Apple has sold more than 67 million iPads around the world. Some of iPad’s technical details were our even before its release. These details tempted Apple’s competitors to come up with their own tablet computers, and cause “tablet riot”. Many companies made unsuccessful attempts to launch their own tablet computers to compete with Apple’s iPad. Companies like HP, Dell, Motorola, HTC, and Benq failed to impress people with their tablet computers. Some competitors ended up filing bankruptcy after spending millions on product development. Only Samsung’s Galaxy tab series which works on Google’s android operating system is able to successfully compete with Apple’s iPad. Apple iPad can give you access to thousands of 3D games, music files, applications, full HD movies, eBooks and also help you in your office work. So, start saving few bucks every day, and buy this wonderful device for yourself, or your loved once. 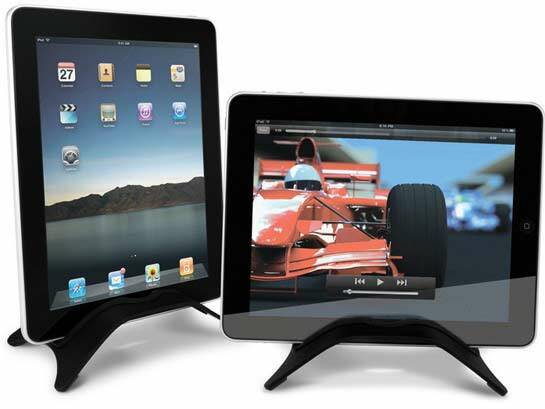 Apple brought tablet computing in the limelight. Today apple is the market leader for tablet computers. Personal computer and laptop makers have noticed that people are slowly moving from personal computers towards tablet computers. Tablet computers like iPad can perform almost all tasks of personal computer or laptop. Out of hundreds of competitors, only Samsung’s galaxy tab was able to survive the “tablet riot”. About the author: Claudia is a blogger by profession. She loves writing on luxury and technology. She recently read an article on bornrich that attracted her attention. These days she is busy in her research work for ecofriend.